Thanks to the machinations of psychologist Dr. Jeanne Hightower, Olivia Montgomery, Elise Arrington, and Kathy Hanran find themselves sharing a cottage on the Camden Hall estate in Summer Hill, Virginia. The women meet as strangers, but as they share their stories of what has led them to this point in their lives, a deep bond of friendship and affection develops. Sixtyish Olivia is a newlywed. Widowed after a long, unhappy marriage, she reunited with the love of her life and married him. But she is filled with regret and anger over the more than four decades that she and Kit Montgomery lost. Twenty-five-year-old Elise, only child of wealthy, upper-crust parents, married to please her parents, but she is miserable in her marriage. Her husband is in love with the Hispanic gardener’s daughter with whom he shares a daughter. When Elise ends up in the hospital from an accidental drug overdose, her husband claims it was an attempted suicide. He and her parents place her in a mental institution from which Dr. Hightower helps her escape. Elise regrets that she failed to run away from her wedding. Kathy, now in her forties and childless, settled for a passionless marriage with a husband who married the boss’s daughter. He loves his wife, but he is in love with someone else and fears the divorce he is planning will devastate his wife. He doesn’t know her as well as he thinks he does. Kathy regrets that she settled for Ray and that she never demanded a place in her father’s advertising firm commiserate with her talents. A mysterious letter from Dr. Hightower directs the women to a house where an awkward hostess offers them a special tea that will allow them to go back in time to a moment of their choosing and relive a moment where they made the choice that led to their regrets. After three weeks in the past, they will return to the present where they must live with the consequences of their changed lives. The story wraps up as the women reunite after their time travel with each having made a choice that gave her a very different life from the one she has in the first part of the story. 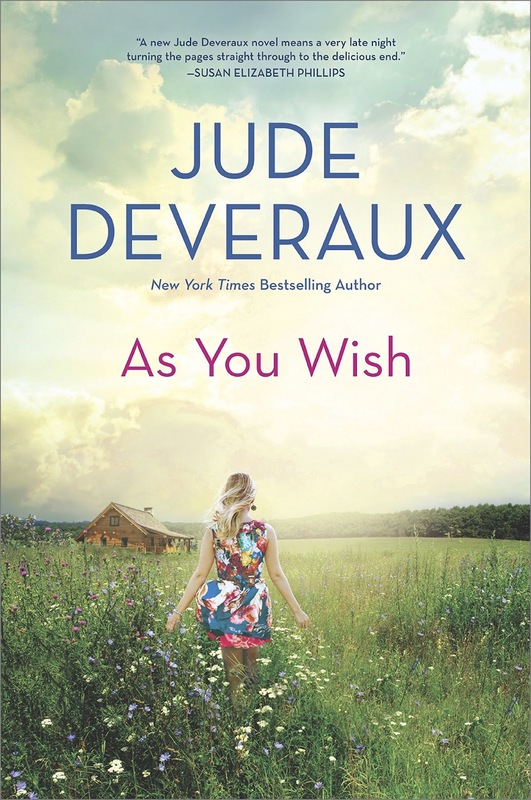 As You Wish is the third novel in Deveraux’s Summerhouse series, after The Summerhouse (2001) and Return to Summerhouse (2008). The books are linked by Madame Zoya and her unique offering rather than by characters, so each can be read as a standalone. The reader’s enjoyment of the book will be strongly connected to her willingness to suspend disbelief. Most of us have wondered at some time how our lives might have played out differently had we made a different choice at some turning point. In that respect, the story fulfills a common fantasy, but it works only if the reader’s imagination proves stronger than her logic. The three protagonists are likable enough, although I suspect some readers will find it easier to relate to some than to others. I found Olivia’s story the most interesting; the Montgomery connection was a plus. The privileged Elise was the one with whom I had the most difficulty. Other readers will likely respond differently. Although there is a romance thread for each of the women and each gets her HEA, the novel is more women’s fiction than romance. The women’s journey to self-realization and their friendship provide the foci of the story. If you like a bit of the supernatural and a bit of romance mixed with conventional women’s fiction elements, you might like this book. 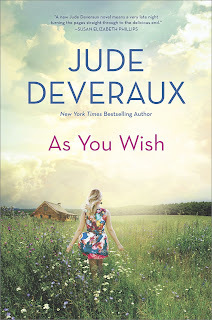 If you are a fan of older Jude Deveraux novels, you may decide you prefer rereads. Oh yes! This does sound like a great book. Thanks for sharing the review. You have given me a problem. I am a big fan of Jude Deveraux's older novels. But, in a way, this one sounds interesting. I definitely would like this one, and I haven't read her yet. I love discovering new reads!! I have read the other Summerhouse reads and I'm sure I will like this one too! It is an interesting premise for a story. It is interesting. We all think of a do over for something. How much would it really change our lives and in what way? Would it be better? This is a book and series I will have to check out.